Through computationally intensive computer simulations, researchers have discovered that "nuclear pasta," found in the crusts of neutron stars, is the strongest material in the universe. The strongest material in the universe may be the whimsically named "nuclear pasta." You can find this substance in the crust of neutron stars. This amazing material is super-dense, and is 10 billion times harder to break than steel. Superman is known as the "Man of Steel" for his strength and indestructibility. But the discovery of a new material that's 10 billion times harder to break than steel begs the question—is it time for a new superhero known as "Nuclear Pasta"? That's the name of the substance that a team of researchers thinks is the strongest known material in the universe. Unlike humans, when stars reach a certain age, they do not just wither and die, but they explode, collapsing into a mass of neurons. The resulting space entity, known as a neutron star, is incredibly dense. So much so that previous research showed that the surface of a such a star would feature amazingly strong material. The new research, which involved the largest-ever computer simulations of a neutron star's crust, proposes that "nuclear pasta," the material just under the surface, is actually stronger. The competition between forces from protons and neutrons inside a neutron star create super-dense shapes that look like long cylinders or flat planes, referred to as "spaghetti" and "lasagna," respectively. That's also where we get the overall name of nuclear pasta. Diagrams illustrating the different types of so-called nuclear pasta. The researchers' computer simulations needed 2 million hours of processor time before completion, which would be, according to a press release from McGill University, "the equivalent of 250 years on a laptop with a single good GPU." Fortunately, the researchers had access to a supercomputer, although it still took a couple of years. The scientists' simulations consisted of stretching and deforming the nuclear pasta to see how it behaved and what it would take to break it. While they were able to discover just how strong nuclear pasta seems to be, no one is holding their breath that we'll be sending out missions to mine this substance any time soon. Instead, the discovery has other significant applications. 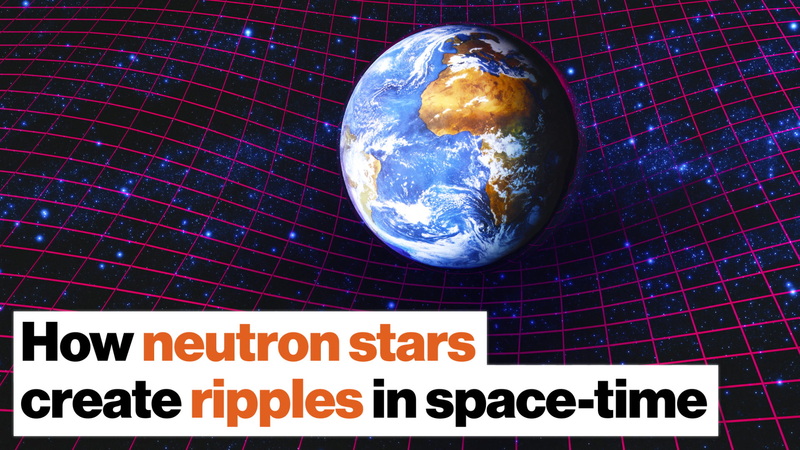 One of the study's co-authors, Matthew Caplan, a postdoctoral research fellow at McGill University, said the neutron stars would be "a hundred trillion times denser than anything on earth." Understanding what's inside them would be valuable for astronomers because now only the outer layer of such starts can be observed. "A lot of interesting physics is going on here under extreme conditions and so understanding the physical properties of a neutron star is a way for scientists to test their theories and models," Caplan added. "With this result, many problems need to be revisited. How large a mountain can you build on a neutron star before the crust breaks and it collapses? What will it look like? And most importantly, how can astronomers observe it?" Another possibility worth studying is that, due to its instability, nuclear pasta might generate gravitational waves. It may be possible to observe them at some point here on Earth by utilizing very sensitive equipment. The team of scientists also included A. S. Schneider from California Institute of Technology and C. J. Horowitz from Indiana University. Check out the study "The elasticity of nuclear pasta," published in Physical Review Letters.